Telugu Desam Party chief and Andhra Pradesh chief minister Nara Chandrababu Naidu visited Election Commission in New Delhi on Saturday and demanded a re-poll in nearly 150 polling stations on April 12. 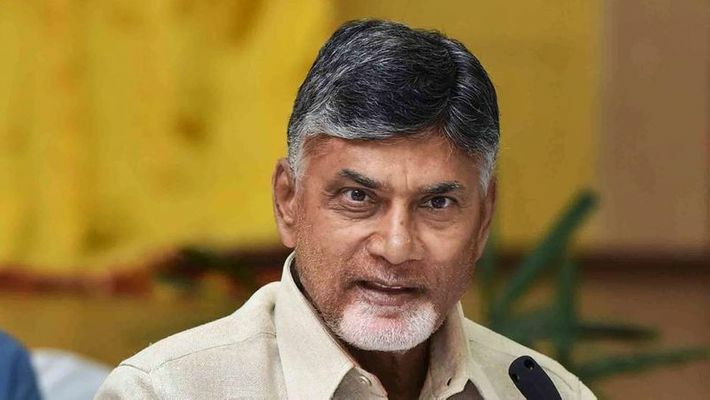 Amaravati: Andhra Pradesh chief minister Nara Chandrababu Naidu and Telugu Desam Party chief met the Election Commission and complained to authorities about the alleged malfunction of EVMs on April 12. The voters had to experience delays in polling because of non-function and malfunction of EVMs. The TDP chief also demanded a re-poll in nearly 150 polling booths. Naidu also said that if the Election Commission doesn't consider the request of Naidu then he will sit on Dharna at the EC office in Delhi along with his ministers and MPs . He also requested the Election Commission to revert to the system of recording votes through ballot papers and stop the use of electronic voting machines in polls. He expressed his doubts regarding the reliability of the EVMs. After meeting the Election commission, he said to media that the EC is an autonomous body and they are working as per the instructions of Prime Minister Narendra Modi. The TDP chief, who faces a tough fight with Jagan Reddy, also said he would file a review petition in the Supreme Court over its order on the counting of VVPAT slips. Andhra Pradesh on April 11 displayed the worst form of political violence including booth capturing and even murder of political rivals, with allegations flowing thick and fast against the CM's own party TDP as well as its rival, the YSRCP. Andhra Pradesh election for Assembly and Lok Sabha elections was on April 11. In the state, 319 candidates were contesting in 25 constituencies for Lok Sabha and 175 Assembly seats. The election was held in one phase in Andhra Pradesh.